We visited the Shrewsbury Flower show on Saturday 14th August, this was the last day of the show, as also was on the Friday aswell. We decided to go for entrance after 4pm as was slightly cheaper, entrance was £12 after 4pm if before 4pm was £20 per adult (prices for Saturday, Friday prices slightly different), children are free with a accompanying paying adult. We parked on the a temporary car park on the other-side of the river, the price for parking was £4.50. There was loads of stalls selling all different types of things from garden furniture to beds etc. there was several marques some with crafts in and flower displays. We went to see the different displays of the flowers etc, and wasn’t disappointed at some where really amazing with so much colour and must have taken the competitors ages to create some of them. I was a bit disappointed that there where no outside garden design as not really into going to flower shows but went to the Tatton park flower show a few years ago and was really interesting to see the garden designs. But the inside displays were very good, so kind of made up for that. See some of my pictures for the displays, we did enjoy looking at the yogurt pot garden’s by school children. There was also loads going on at different times in the main arena, not long after we had arrived there was the show jumping competitions, the weather at this point did spoil it a little as had a really heavy rain show, but only lasted about ten minutes, so wasn’t to bad. While walking around the show there was a man dressed in a kilt, he had a costume on that made him around 8ft + tall, he had a man dress as a dog with him, this was hilarious as the dog costume could even spray water like was having a wee, the dog kept chasing people around, my daughter loved this and so did everyone, as even i was in fits of laughter, i even had the tall man stoke my head 🙂 i don’t know the name of the act but they was really brilliant and fun. The parachutist’s were good aswell there was four of them jump from a small aircraft, and they landed in the arena with great precision It was amazing to see them come down to the ground so quick. The Household Cavalry Musical Ride was a great show, the horses and riders where amazing there rode in time with all different types of music. It was such a great sight to see, as we was sitting up the front we got a great view. This was the most amazing show I have seen., the horses were so controlled and very graceful. see the video above. The choir and singing was really good, especially with the national anthem, as everyone stood up as they sang this, the brass band was really good, with some good music the kids even did enjoy this. To end the evening at around 9:45pm there was a very amazing fireworks display, that lasted around 20 minutes, all the fireworks were timed to different types of music, this is one of the best fireworks displays I have seen in a while and must have cost of lot of money in fireworks, see the video below for a snapshot of the display. I would definitely be going to the event next year, and we will probably be going for the full day as didn’t get to sewed all the flower displays and all the events going on, the only criticism with the day is that unless you purchased the event programs on the gate, you wasn’t to sure of t5he times of the events etc as they wasn’t fully published on the official website. Great pictures. I also visited the shrewsbury flower show on saturday 14th, and enjoyed it thourghly. I was not able to take pictures while i was there, so it was great looking through yours! the name of the kids show is dingle fingle, they’re there every year. love seeing the photos! 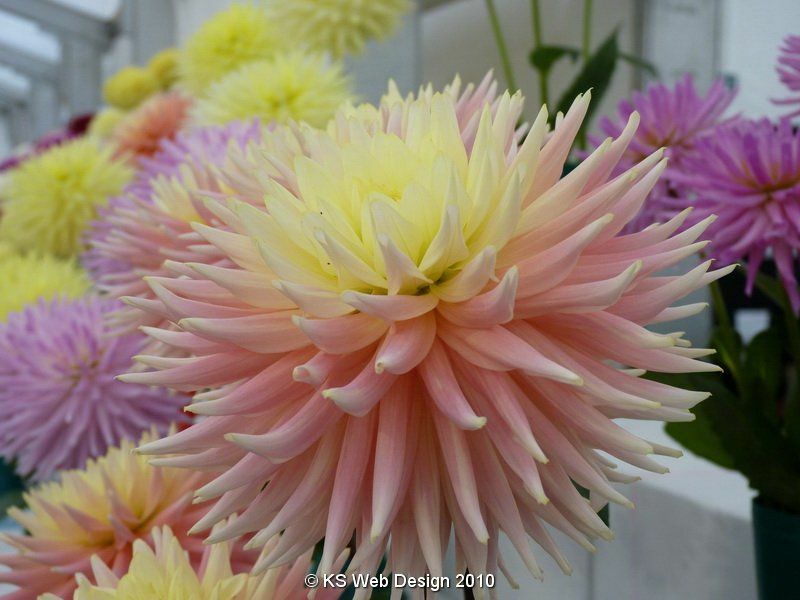 the flower show is the highlight of my summer, the fireworks are the best in the country!